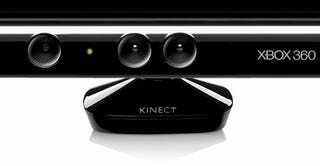 Earlier this year, when the Xbox 360 add-on Kinect was still known as "Project Natal," reports surfaced that Microsoft was tearing one of the cameras processors out the hardware. Kinect general manager Kudo Tsunoda explains why. Tsunoda explains to Xbox 360 World, via CVG, that the Kinect processor was originally in the camera because the Xbox 360 maker "didn't know how much processing Kinect was going to take at the start of development." Ultimately, he says "there's just no need to have that extra processor," saying that dropping it had no impact on Kinect's body-detecting performance or the console's graphical fidelity. The man responsible for Kinect development says the change in scope was "just normal game development."